I’ve never really considered slicing meat to be a tactile and satisfying affair before, but the team at Clock Drive Games behind the upcoming Warlander have managed to successfully convince me that it’s got a certain pleasing feel to it. Plunging in a blade and seeing a clean cross-section cut of meat is as beautiful as it is delicious – sorry to our vegetarian friends out there. But with a slice of meat in my hand and a sip of rakija burning my throat, I played Warlander and finally understood why the Warlander team were stood around me wearing aprons. At Reboot Develop Blue 2019 in Dubrovnik, I stood in the crowded halls and squeezed between game developers and industry peers while trying to see the latest games being made in the Balkans and Europe, and Warlander piqued my interest. Admittedly, it was the aprons, too. But once I had gotten my hands on the game myself, I understood. No, it’s not a cooking game, but it’s certainly a slicing game. That explains the meat then, too. Warlander plays out as a narrative-driven action adventure game where your protagonist fights against the mechanical threat overpowering the natural world. Wielding a large, sentient blade, your protagonist slices through enemies, a bit like Metal Gear Rising, and leaves them on the floor in bits. This isn’t just a stylistic choice though, it also feeds back into combat mechanics. 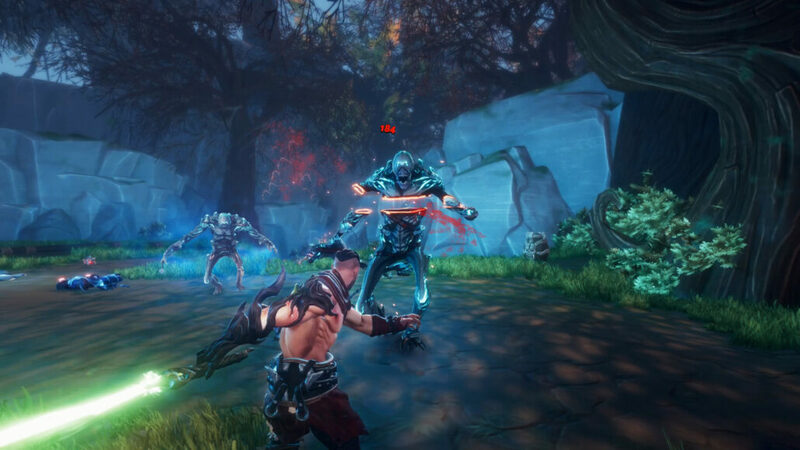 Enemies will be armoured on certain parts of their bodies, like their torso, limbs and neck, and you’ll have to slice through the vulnerable parts of their bodies. Currently, the system works really well. It’s satisfying and puts a smile on your face to slice through enemies, but that doesn’t mean it’s a simple game. Your attacks must be carefully thought out and paced, and of course, where you target is important too. The combat is a bit more like – yep, the comparison is coming – Dark Souls where you’ll be tactically shielding, kicking through enemy defenses, and attacking when safe. There are plenty of fodder enemies that can be sliced through with ease, but tougher opponents will show up ready to overwhelm you. 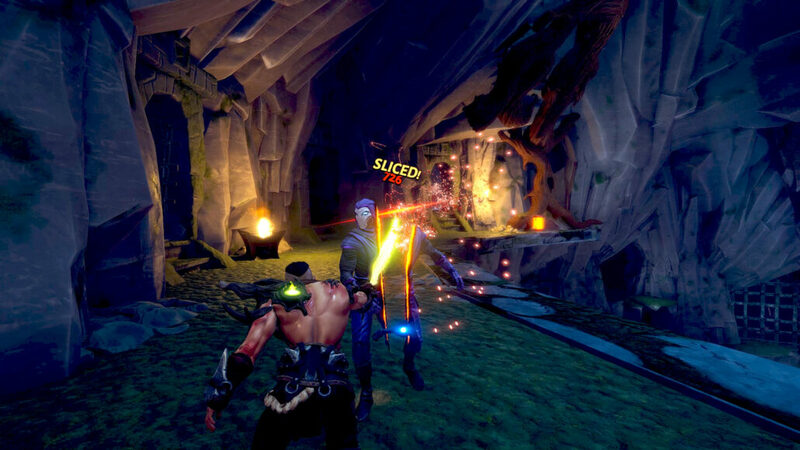 Your character also has a few special abilities, like a throwable stake for ranged offense, in addition to other skills which will deal out big, damaging hits. Although I played it on PC, the developers told me that this was, of course, a game which is designed for controllers and will eventually make its way to consoles in time, though PC controls are perfectly functional, and aiming with the mouse in order to slice limbs works really well. Perhaps better than it would when using analog sticks. Having said all that, the game is clearly still under development. All of the central mechanics are in place, now it’s just a case of tightening up the game. Enemies, for example, currently look a bit monochrome, and their designs could use updating. It’s not obvious enough which parts of an enemy’s body are armoured or not at a glance, though the developers reassured me that I wasn’t the first to bring up this criticism. 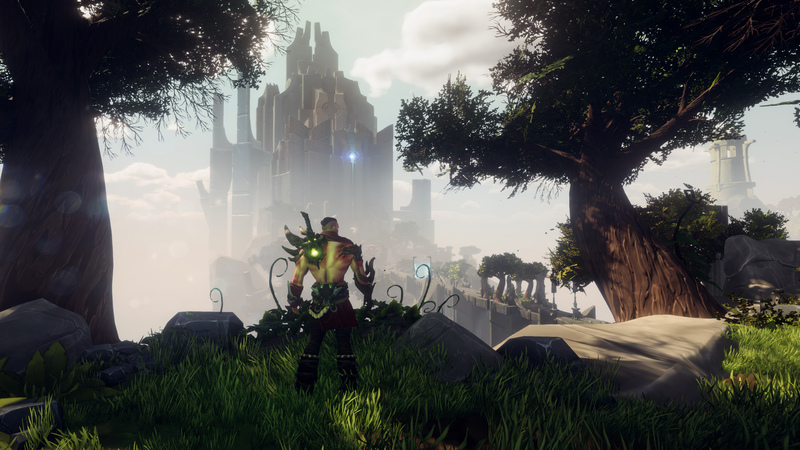 There’s a fun action game with a lot of promise here, and we’re sure to hear more about Warlander in the near future, as the developers are targeting a release this year. Meanwhile, you may wishlist the game on Steam, where you can also find the full system requirements.